September 9, 2015 in Movies, Dramas & Anime. March 4, 2015 in Movies, Dramas & Anime. January 31, 2015 in Movies, Dramas & Anime. 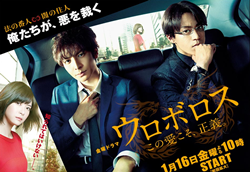 January 9, 2015 in Movies, Dramas & Anime, Reviews. January 8, 2015 in Movies, Dramas & Anime. January 5, 2015 in Movies, Dramas & Anime.